Looking for a LG System or Service? Get in Touch! Stay cool in the summer with Perth’s most trusted and reliable installers of air conditioners, Air Con Perth WA. With quiet operations and easy servicing, along with an in-built auxiliary safety trap to prevent any damage caused by moisture, it is little wonder why LG ducted air conditioners are Perth’s first choice. 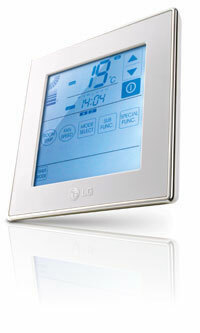 LG has designed stylish, smart, reliable and functional air conditioners to help make Life Good. Air Conditioning WA can conveniently install reverse cycle air conditioning at your home for the most affordable prices– for a FREE in home consultation, click here. Get great cost efficiency when you choose an LG air conditioner from Air Conditioning WA! 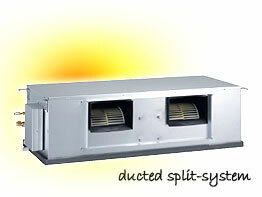 Why buy an LG ducted air conditioner for your Perth home? LG is the world’s No.1 air conditioner manufacturer. This position was achieved by investing substantially in research and development to ensure the most innovative, quality products are brought to the market. By buying an LG split Air Conditioner with Air Con Perth WA, you know you can be sure you are making a smart choice on one of the world’s leading brands for stylish and energy efficient home climate control technology. LG air conditioners aren’t just about technology. The team at LG believes the air conditioner is a fixture in the home and its appearance is just as important as a piece of furniture. That’s why the new ducted line up incorporates functionality with design. The Deluxe Wall Controller (pictured) comes in a sleek, modern design to suit the walls of even the most stylish homes and it has a backlit touch screen panel for user friendly operation and is now available with optional integrated zone control feature.